Wow! I had no idea that hanging on to the Enduro World Series live race feed and live timing could be so damn addictive. 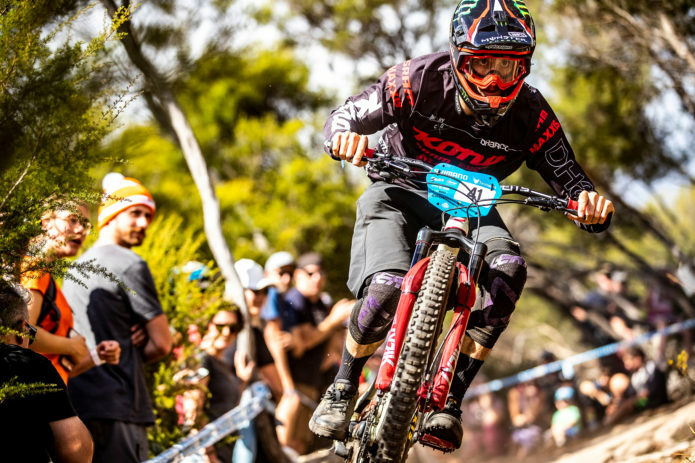 Right from Kona Gravity Team rider Connor Fearon’s first stage on Friday, and his epic second-place finish, Kona (and Connor) fans from across the globe were hanging on to every smidge of data coming through to their smartphones. For those that were there, the vibe was reportedly unreal. 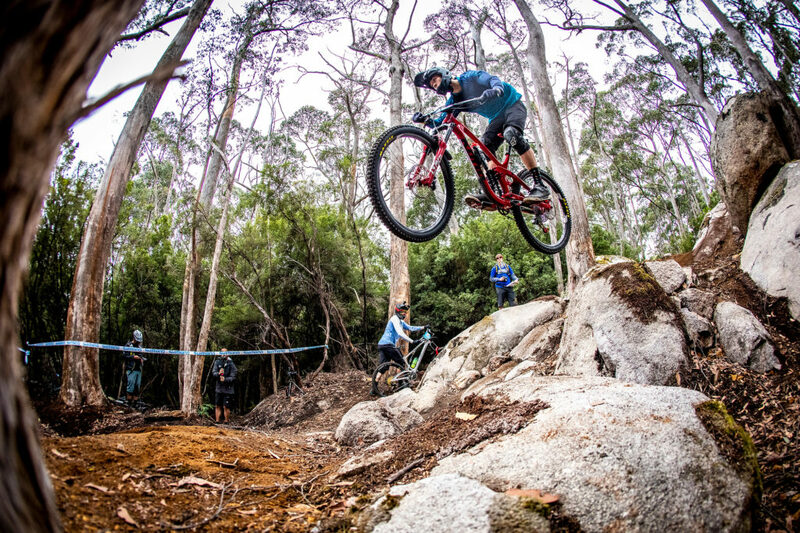 The most raucous and supportive bunch of spectators ever at an EWS event lined the stages of the Blue Derby trails in Tasmania, Australia. And boy did they get what they came for, an Aussie on the podium! 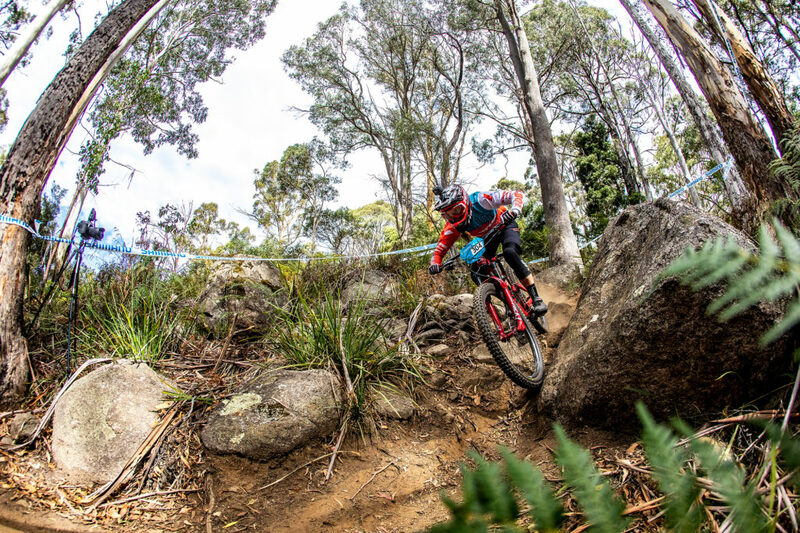 With both stage 1 practice and racing taking place on Friday and the remaining five rocky and technical stages going down on Saturday, Connor and the rest of the team would have to play the long game. 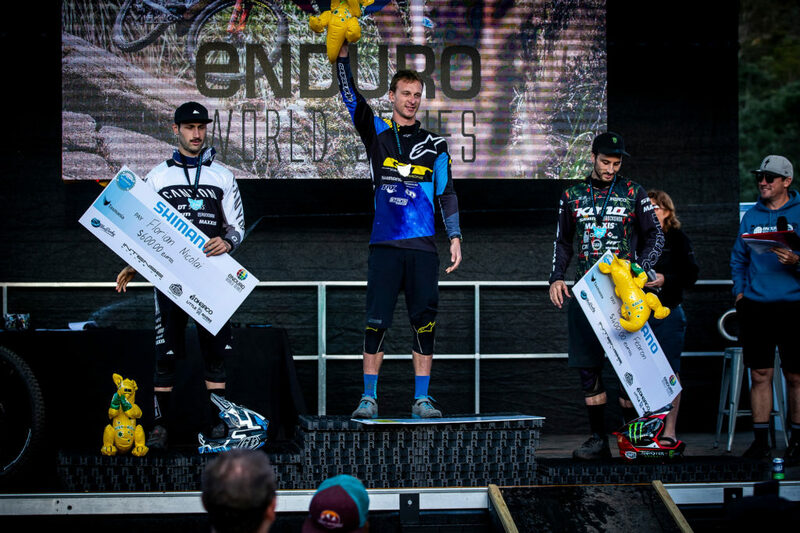 Back at Crankworx, Whistler in 2016 Connor finished the first stage of the Canadian Open EWS in second place. He couldn’t repeat the result that day, and finished in 29th place. 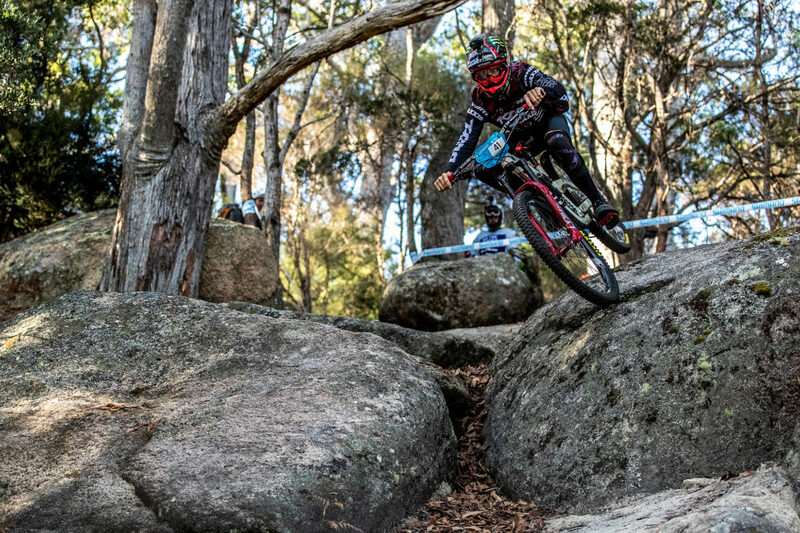 Since then, Connor has raced (and won) a few enduro events, and that experience has clearly paid off this weekend, with only one stage finish outside of the top 10. There is also the fact that Connor took this Tasmanian round seriously. 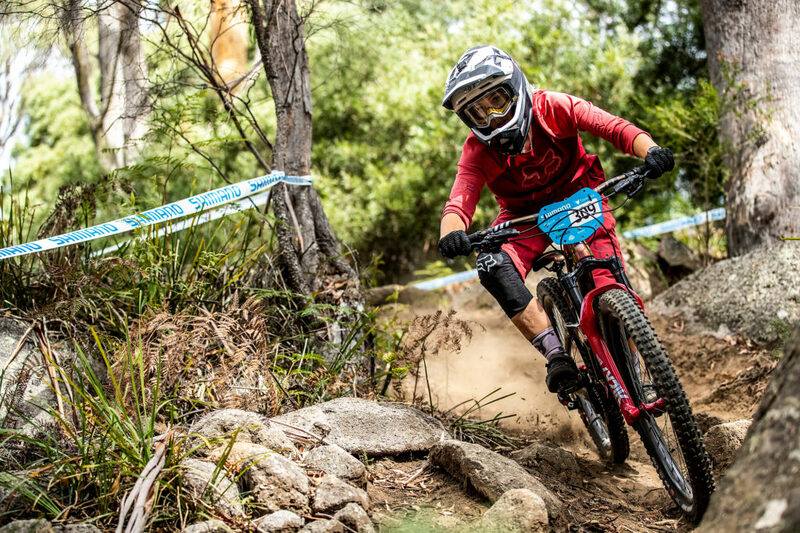 Miranda Miller’s first day of racing didn’t go down quite as planned, the rocky stage 1 took its toll and smashed her rear derailleur. The long six minute plus course wasn’t going to take it easy on anyone and Miranda pushed hard to cross the line in 13th place. With a full day of racing still to come, Miranda knew she could claw back some lost time. Saturdays five stages were physical and demanding and with such a fast and hotly contested women’s field, any mistakes would prove costly. With an 8th on stage 2 and a 5th on stage 6 Miranda would cross the line in 10th place. Rhys Verner, like Miranda, spent Thursday’s practice falling in love with the trails of Blue Derby. And, like Miranda, he had a great mornings practice on Friday’s stage 1. But things went a little sideways during the race in the changing conditions (it starting raining) and Rhys has a crash that resulted in him finishing in 62nd. 62nd is not to be sniffed at, but not the result that Rhys wanted. Over Saturdays remaining five stages Rhys pushed to make up places and in the process had a couple of moments. Rhys would cross the line in 50th position. 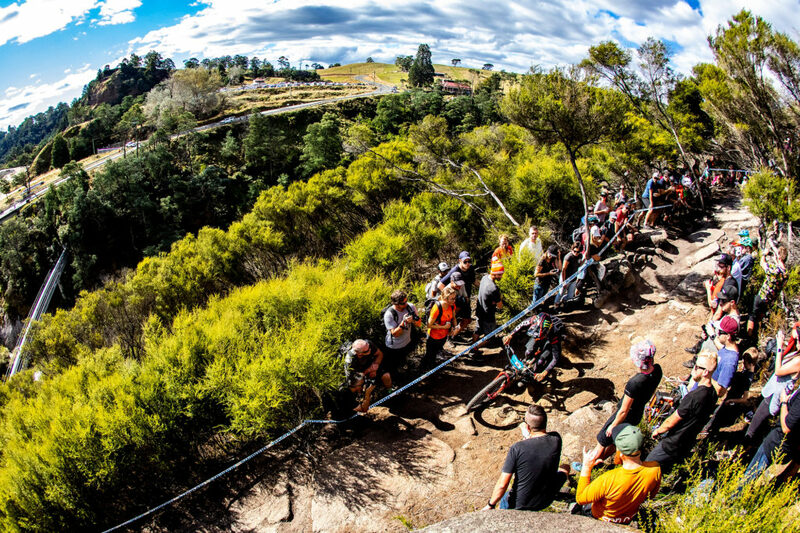 “The crowds and general atmosphere (especially on Stage 6) were insane… There were literally hundreds of people going berserk and lining both sides of the trail for the whole bottom minute. It also helped that stage 6 was probably in the top three for best trails I have EVER ridden. I rode a bit too cautious at the bottom, but couldn’t help but be stoked when Connor went into the hot seat! 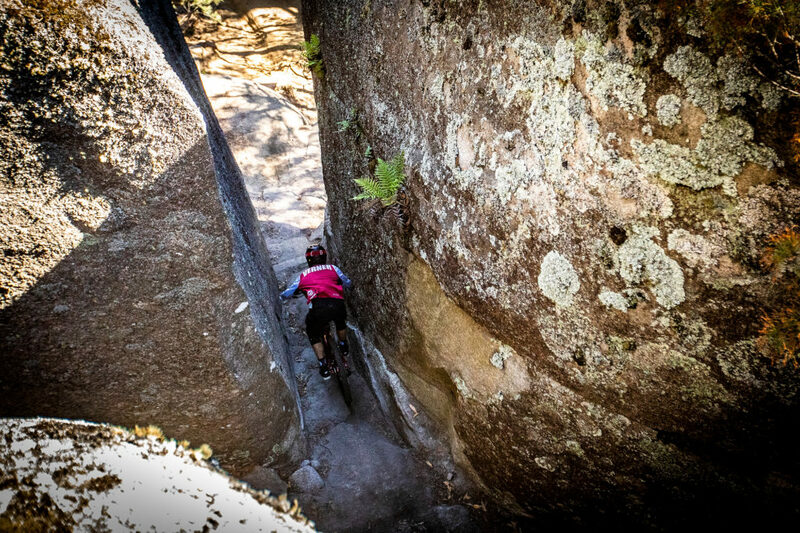 Shelly Flood is no stranger to Tasmania, as a Maydena Bike Park Ambassador, she visits frequently but doesn’t often make it to the trails in Derby. Like everyone in racing she took a huge amount of motivation from the atmosphere created by the hyped up and vocal Aussie spectators. 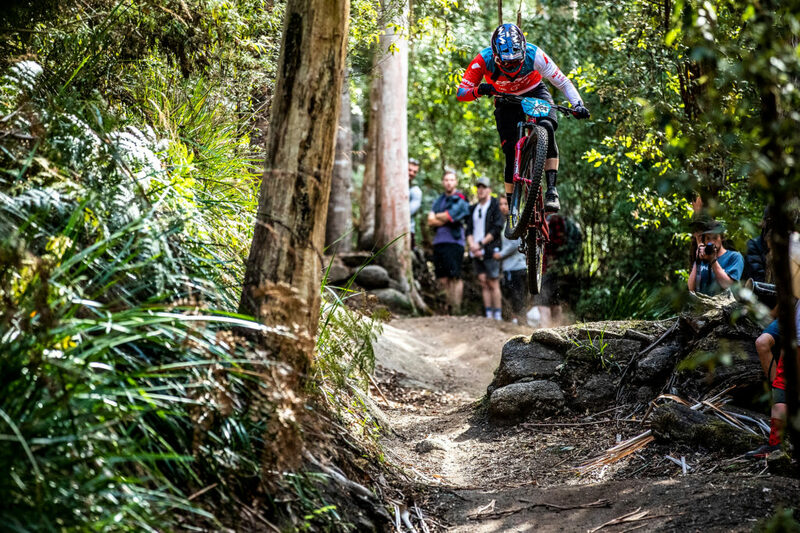 She didn’t quite have the race she wanted though, she was battling a chest infection in Rotorua and still hadn’t shaken it. 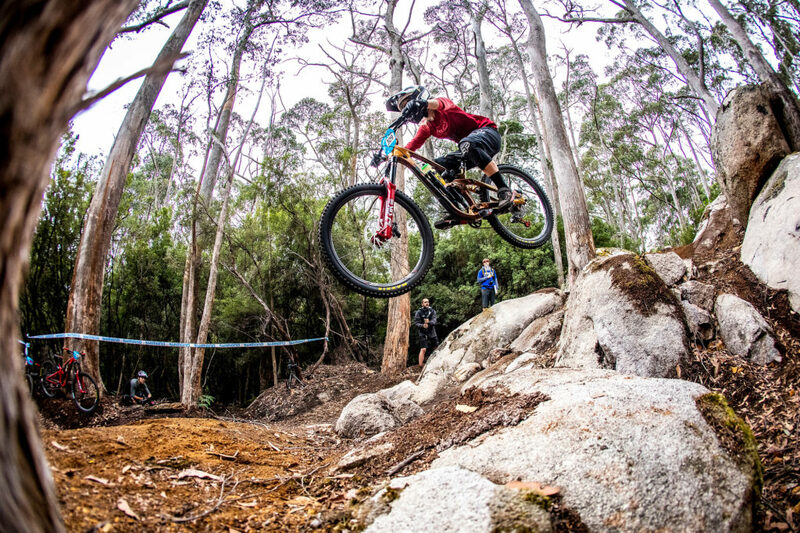 Practice began in Tasmania less than a week after the podium presentations in NZ. Unlike her team mates she also thought that the format for Fridays racing may have been a little detrimental. Heading into the next round, Connor sits in 13th overall, Miranda in 11th, Rhys in 41st and Shelly in 23rd. The team has moved up as well and now slots in to 11th place in the overall team standings.